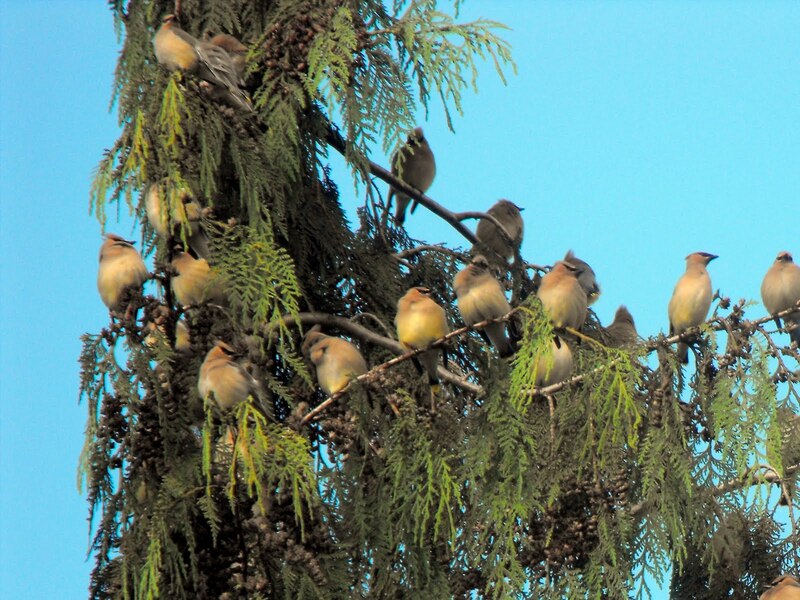 I was quite caught off guard while working in the garden when a flock of over 100 cedar waxwings appeared out of thin air and made themselves cozy on a nearby cedar and fir tree. 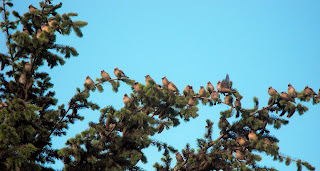 They were perched directly above me as I worked in my fledgling veggie garden. My little garden helpers were amazed and excited by all the commotion. It was really fun to talk to them about birds migrating, eating berries, taking a rest and then flying off again to new adventures. 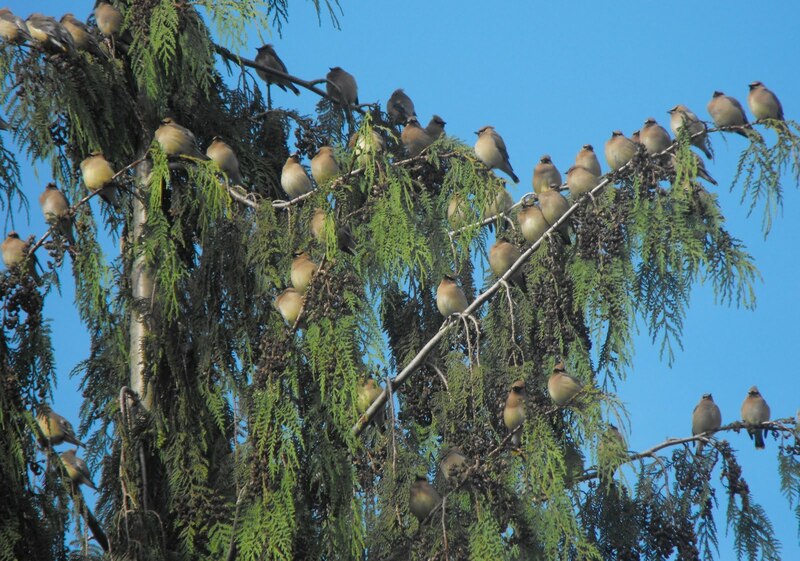 Upon further research, I learned that a flock of Cedar Waxwings is called an Aristocracy. A perfect fit for our regally capped little friends. WoW! How exciting is that? What an impressive group they are landing in numbers that high. I'll bet your kids loved it! Half the tribe is still here this morning! I can't believe it! Those are some great photos! I bet you were surprised and ran for the camera...i would do the same! That is amazing! I think they are a bit uncommon to see around here. I would've been very excited too! 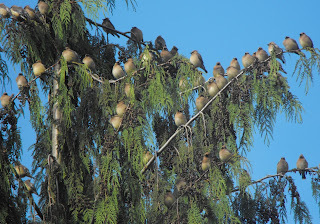 That is spectacular...they look like they're part of the tree...little feathered buds. :) What a great event to capture. How wonderful of them to stay long enough for you to photograph them! I can't imagine the cacophony they'd made up there, but they are beautiful birds.